UndocuFund wants to build long-term support for the undocumented hit hard by the fires. But will it be enough to solve a looming housing and employment crisis? Like many who awoke to the smell of smoke in the early hours of October 9th, Agustin Vivienda and his family raced out of their home and tumbled into the family car. As flames streamed into their neighbor’s backyard, Vivienda’s wife had just enough time to toss the children’s U.S. birth certificates and other important documents into a bag; Agustin grabbed the family’s two Chihuahuas. While the family fled to the nearby town of Windsor, the rental they had just moved into—at $1,850 per month, a bargain in pricey Sonoma County—burned to the ground. 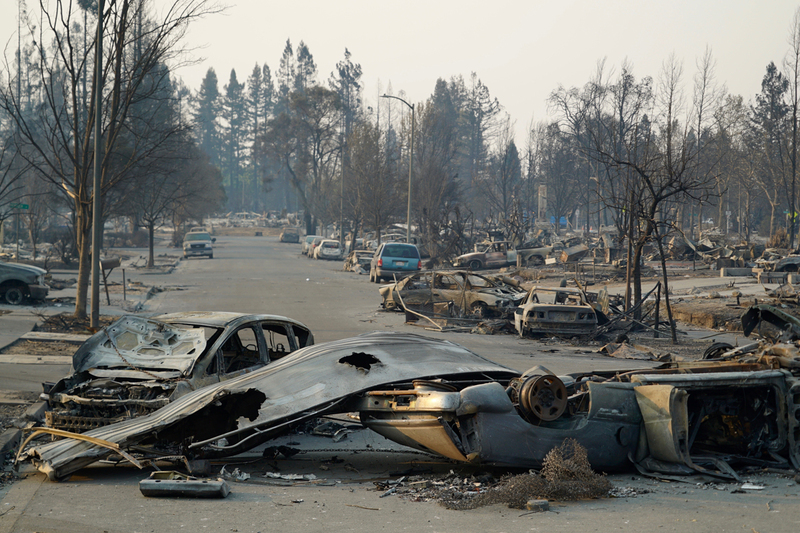 Their home was one of over 4,600 destroyed by the Tubbs Fire, the most devastating wildfire in California history. And now, Vivienda—along with an estimated 38,500 other undocumented residents who have made homes in Sonoma County—finds himself back at square one: In addition to his home and belongings, the 45-year-old construction worker also lost his tools and his work truck in the fire. Sonoma County’s economy is built on industries that depend on immigrant labor. In addition to construction, which supports Vivienda’s family, Sonoma is famous for its wine, food, and hospitality. North Bay Jobs with Justice estimates that half of the area’s largest food processors rely on the 80-percent local and immigrant workforce. In the wake of the wildfires, the undocumented residents who were living an already-precarious existence now face even less certainty. The most well-known relief funds have raised millions of dollars in the aftermath of the fires. Yet North Bay immigrant rights advocates worry that undocumented immigrants essential to Sonoma County’s economy will be left out. Some fire victims aren’t applying for help out of fear that information provided on Federal Emergency Management Agency (FEMA) applications will be shared with immigration agents. Others don’t have the required identification to cash relief checks at the bank. In response, a few short days after the fires began, a coalition of concerned organizations launched UndocuFund, a relief effort specifically for undocumented residents. They hope the collaborative effort will help Vivienda and others stay afloat during the long, difficult recovery period ahead. Some of the region’s most vulnerable are the farmworkers who worked in vineyards, and make up the backbone of the $600 million wine industry. According to the Sonoma County Farmworker Health Survey (FHS), the county’s agricultural sector employs between 4,000 and 6,000 permanent farmworkers each year—the majority of whom are Latino and undocumented. 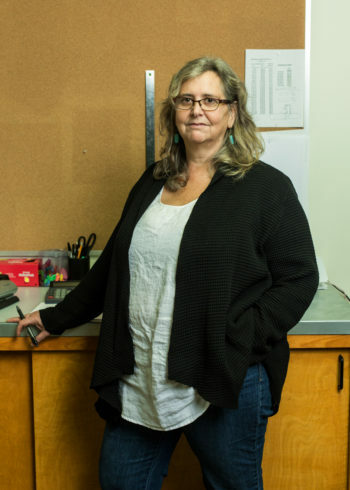 “The vineyards won’t get replanted until spring, after the ground thaws and they can put new plants in,” says Christy Lubin, director of the Graton Day Labor Center, which provides access to training, education, health care, and legal resources for Sonoma County’s immigrant workforce. That means the grapes won’t be ready to pick for three years. “Plus, there will be more competition for the jobs that do exist,” she adds. In addition to being displaced by the fires, farmworkers already face a range of challenges. They experience higher rates of occupational injuries and a higher prevalence of chronic disease than other workers. A farmworker health survey found that a lack affordable housing options also has a negative impact on their health. In addition to the lack of financial and social safety-net services that always complicate the lives of the undocumented, fears about immigration agents visiting evacuation shelters and shelter workers who insisted on seeing IDs for admittance have left many struggling to recover. But UndocuFund aims to provide wide-ranging aid to help people get back on their feet. Like Vivienda and thousands of others in Santa Rosa, Mara Ventura, lead organizer at North Bay Jobs with Justice, was forced to evacuate her home early Monday morning as the fires began. After dropping bags at a friend’s house, she headed straight to the nearest shelter to offer assistance. Right away, she noticed that Latino families weren’t getting the same attention as other fire victims, possibly because volunteers didn’t speak Spanish. Lubin echoed Ventura’s observations at other shelters. What’s more, a few Latino families, particularly those who are undocumented, had gone to nearby beaches to camp. The evacuees to the chilly coast needed camping gear—sleeping bags, lanterns, tents. Everyone needed food. And since most had run out of their houses with nothing but their pajamas on their backs, they needed money. Lubin and Ventura quickly deployed Spanish-speaking volunteers to shelters, and the Day Labor Center became a hub to receive donations—from cash to food to sleeping bags and blankets. During that first chaotic week, Lubin handed out money for cell phone bills, gas, and other essentials, but soon she and Ventura discussed the need for a fund that would help undocumented immigrants—who might have trouble getting unemployment compensation and access to FEMA—get back on their feet over the longer term. On Wednesday morning, as the fires still raged in Sonoma and Napa counties, they met with leaders from the North Bay Organizing Project, another grassroots community coalition that works with the immigrant community. Lubin reached out to a connection at Grantmakers Concerned with Immigrants and Refugees (GCIR), which agreed to be the fiscal agent. Less than 72 hours after the fires ignited, the coalition had launched UndocuFund. “Christy’s leadership, her history, and her work in this community allowed for all of the most important people to be at the table right away,” says Ventura. “And we never would have been able to launch the fund within 48 hours if it weren’t for GCIR and Exchange Bank,” which expedited the process and made it possible for UndocuFund recipients to cash their checks without extra fees or government-issued identification by using a thumbprint and phone number. Within a week, they’d also set up an advisory committee. “We wanted all of the decisions around applications, eligibility, how we would grant, and how much, to be decided by leaders in the undocumented community,” says Ventura. Still, Cardenas points out that a truly equitable recovery would require that city and county officials and those involved in the reconstruction address the existing affordable housing crisis in the area—where a 1-percent vacancy rate has been seriously exacerbated by the loss of 5 percent of the housing stock to the fires. Before the devastation, some families in Coffey Park—a close-knit neighborhood of working- and middle-class families that burned to the ground—were living two and three to a house to make ends meet. On November 2, Omar Medina, the newly hired UndocuFund project coordinator, presented the first official relief check to a Santa Rosa family of six that lost everything. 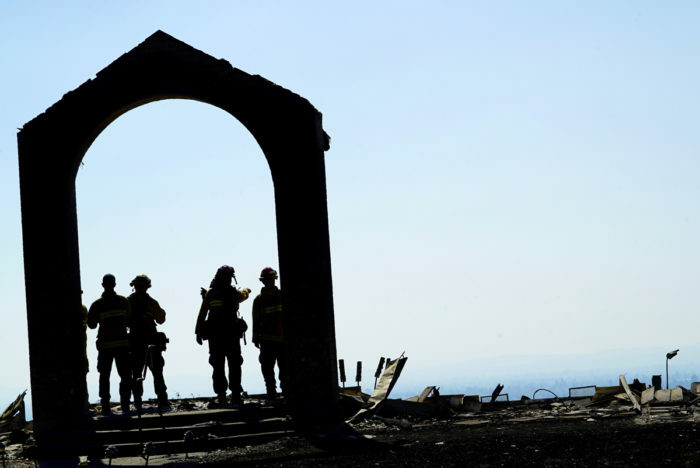 The vineyard where the sole wage earner worked was also destroyed in the fires. This rush emergency case provided the family, which includes three young children and a newborn, with a deposit for a low-income apartment. It had already been a busy week. On Halloween, Medina coordinated a training for 21 intake workers and they were in the process of finalizing the process where needs would be assessed on a case-by-case basis. Intakes happened at the Day Labor Center and other places that serve immigrants. If need be, intake workers also visit people in their homes. The first official intake clinic on November 11 saw 115 families apply for assistance. This is part of what makes UndocuFund unprecedented, Ventura says. It is not just a fire-relief fund, it’s also an opportunity to coordinate existing support systems for Sonoma County’s vulnerable undocumented. For example, UndocuFund has partnered with Operation Access, a grant-based organization that provides surgeries and specialty medical care for undocumented community members. Nearly $2 million has been raised from a combination of individual donors and matching grants since UndocuFund’s launch. The organizers say $5 million is needed to have a real impact. Seven weeks after the fire, Agustin Vivienda is still in survival mode. He’s applied for help from the North Bay Fire Relief Fund, which has raised over $16 million, but he hasn’t received funds yet. He’s also interested in applying to UndocuFund. His daughter is in her first semester at Sonoma State University and to help her settle in, he gave her most of his savings, just before the wildfire swept through. Either way, “it’s going to be twice as hard for a family like mine to get back on our feet again,” he says. Without support, Vivienda and others may have no choice but to leave the area—uprooting their families and even further slowing the recovery of industries that rely on labor. And that’s where UndocuFund’s bigger ambition could play a key role in making the region’s recovery a success for everyone. My family and I were also fire victims of the 2017 wildfires. We lost everything we owned, including our car & bicycles. We applied even met with FEMA inspectors, just to be denied due to the fact that the other renter in the house applied 1st before us.. We couldn't believe it, I'm a disabled mother of 3, without anything or any hope. I just today have found a rental that could be mine, but I have no funds.. Can you help ?